Derrick Clements believes in stories. And, over the last two years, he's found a lot of people in Utah Valley who feel the same way. 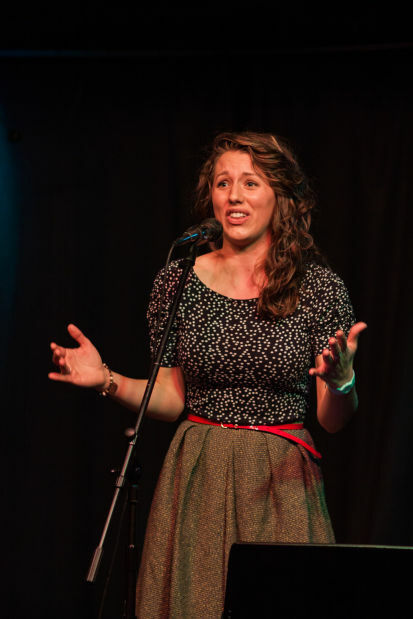 Clements, a student at Brigham Young University, organizes The Porch, a monthly storytelling show at downtown Provo's Muse Music Café. The gathering, now in its third year, is hosting its annual Christmas show tonight. The Porch has drawn a number of diverse storytellers, and in time painted a multifaceted portrait of the region and its people. "If there's one thing that I'm out to prove, it's that Utah County is not totally homogenous, that there's actually a lot of diversity among the people here," Clements said. "Sometimes we get pegged as a particular kind of person with a particular kind of story, and I just know that's not true. And I think most people that are here know that's not true -- but the reputation still stands."